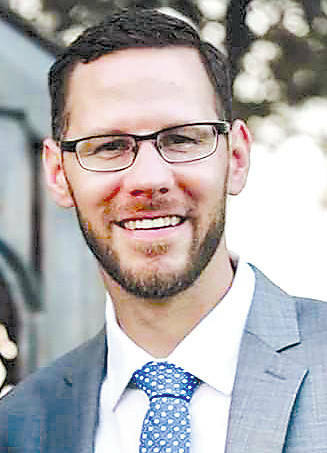 The Urbana City Council selected Jacob McKee to fill the vacant at-large council seat following an executive session at the conclusion of Tuesday’s regular meeting. Council interviewed eight candidates and held five tie votes before going back into executive session for further discussion, finally emerging after 10 p.m. to confirm McKee with a 4-2 vote supported by council members Pat Thackery, Doug Hoffman, Dwight Paul and Cledis Scott. McKee will begin his term as a council member at the meeting on April 16 and his term lasts until Dec. 31, 2021. McKee currently works as a pricing and supply analyst for Hightowers Petroleum in Middletown, and he and his wife own the Spotted Cow in Urbana. He graduated from Urbana University in 2009 and is currently working on obtaining his MBA from Franklin University. Council President Marty Hess also said he remembers McKee being in his 4-H group while he was in high school. McKee said that he and his wife both attend Young Professionals meetings and have provided coffee as a donation to local events, and that this has allowed them to stay up-to-date with current events in Urbana. Former council member Tony Pena resigned at the end of March to accept a pastoral job in Baytown, Texas.